A band like The Maine just can’t be reviewed. Many people who read Under The Rockies are probably familiar with the fact that The Maine are one of my favourite bands. When the band released American Candy in 2015, I found myself listening to the record as a critic, and not as a fan, which is why this website began in the first place. Amidst that mistake, I learned my lesson, and I’ve now returned to listening to music in the same way that I did when I was younger, as a fan and not a critic. The Maine have been a band for over 10 years, and like a fine wine, they seem to be getting better with age. Their sixth studio album, Lovely Little Lonely is different from any of their previous releases but has elements in each track that compliment their old albums and their unique sound. “Don’t Come Down” kicks off the album with a slow groove, that crescendos into an epic opening track. “Bad Behavior” follows, which was the first single released off the record in January. It has an infectious melody and rock and roll vibe, and is easily the “English Girls” or “Like We Did (Windows Down)” staple of the album. Layered with sleek production, it flows into the short interlude track, “Lovely,” which then segways into “Black Butterflies & Deja Vu.” “Black Butterflies & Deja Vu” is packed with instrumentals that are reminiscent to Black and White and Pioneer, and the vocals have the element of Can’t Stop, Won’t Stop and the pop sound of American Candy, with the explosive singalong chorus emulating the uniqueness of The Maine. “Taxi” follows, sounding like a matured track from Can’t Stop, Won’t Stop. It touches on the concept of everlasting sadness and loneliness over a juxtaposing bright chorus, which is evidence enough of the maturing of the band’s music and perspective. “The Sound of Reverie” is packed with beautifully crafted lyrics and different from any other song that they’ve ever done. There’s gentle spoken word in the background with an almost reggae and rock hybrid sound. “Lost in Nostalgia” follows as a short track, with an 80s beat that is gentle and peaceful. “I Only Wanna Talk To You” is a unique track on the album which is a contemporary Can’t Stop, Won’t Stop, exemplifying The Maine’s growth and journey as a band. “Lonely,” unlike the previous interludes, serves as the final track tying the concept of lovely, little, and lonely together. “How Do You Feel?” closes the record off, posing conceptual questions (“You are alive, but are you living?”), giving the record the perfect final chapter. This song leaves the listener excited for what The Maine have brought us and will bring us next in their live show, and their career ahead. The Maine seem to be releasing albums fairly consistently, but what stands out is that they’re releasing consistently good albums. Every track is strung together perfectly. Every song serves a purpose and makes sense. There’s never a song on their albums that makes the listener think, “this would have been better on Pioneer,” or anything along those lines. The Maine have continued to grow, in style, sound, and lyricism. Each album is a different chapter, and Lovely Little Lonely has officially opened up chapter six for The Maine. The Maine are truly lovely, and despite being a “little” band, they provide a comfort when lonely. We can all feel a little lonely, but know that you will never be alone because of a band called The Maine. Lovely Little Lonely is out today via 8123. 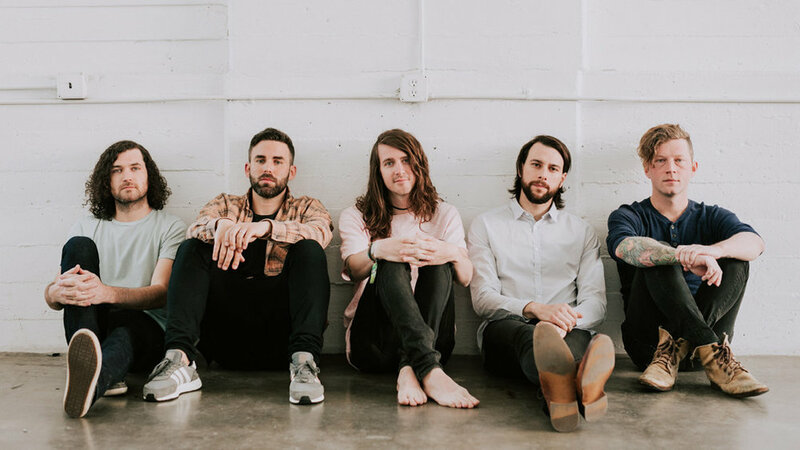 You can catch The Maine on their U.S. tour this spring.